The creation story of Soneva is equal parts romance and fairy tale. It’s about a British-born, self-proclaimed ‘accidental hotelier’, Sonu Shivdasani and his wife Eva, a Swedish model with impeccable taste, who created their very own idea of utopia. A world where their mutual passion for wellness, architecture, wine, travel, literature, art, and above all else, the environment, combine. 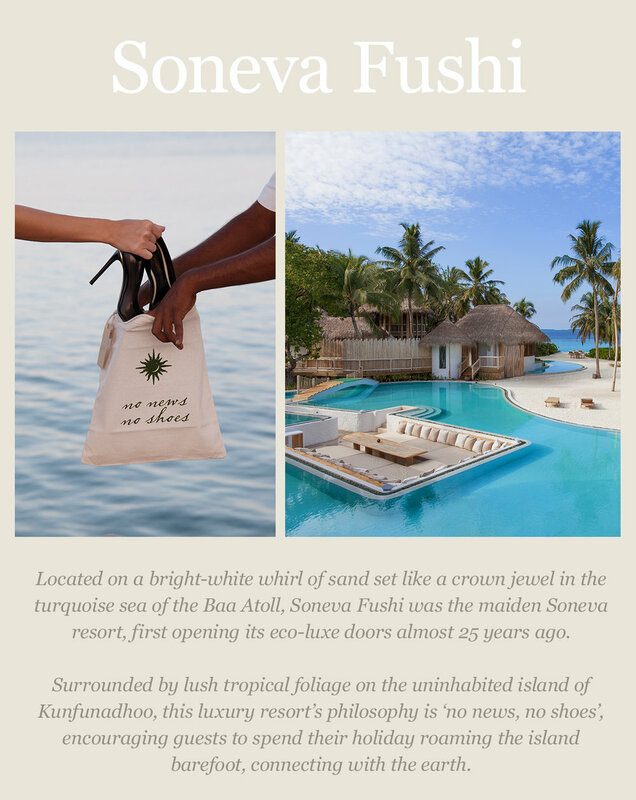 Five years later, they opened their first resort on the island and named it Soneva (after Sonu and Eva) Fushi (which means ‘island’ in Dhivehi). 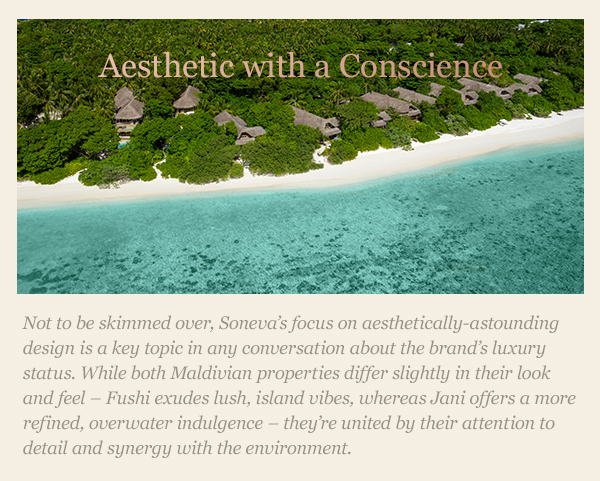 Sonu and Eva are the founders of Soneva and their philosophy is imbued across every touchpoint of the business, however, theirs is not the only tale worth telling. 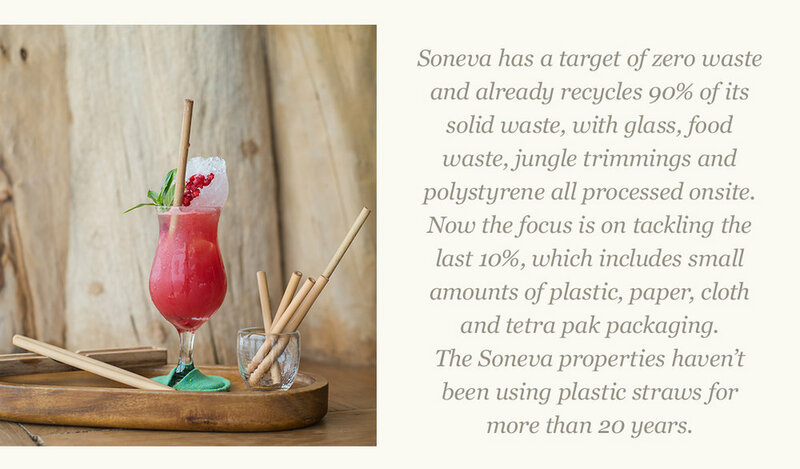 Behind the success, sustainability and magnetism of the brand is a whole universe of dedicated, innovative individuals known as the ‘Soneva hosts’. 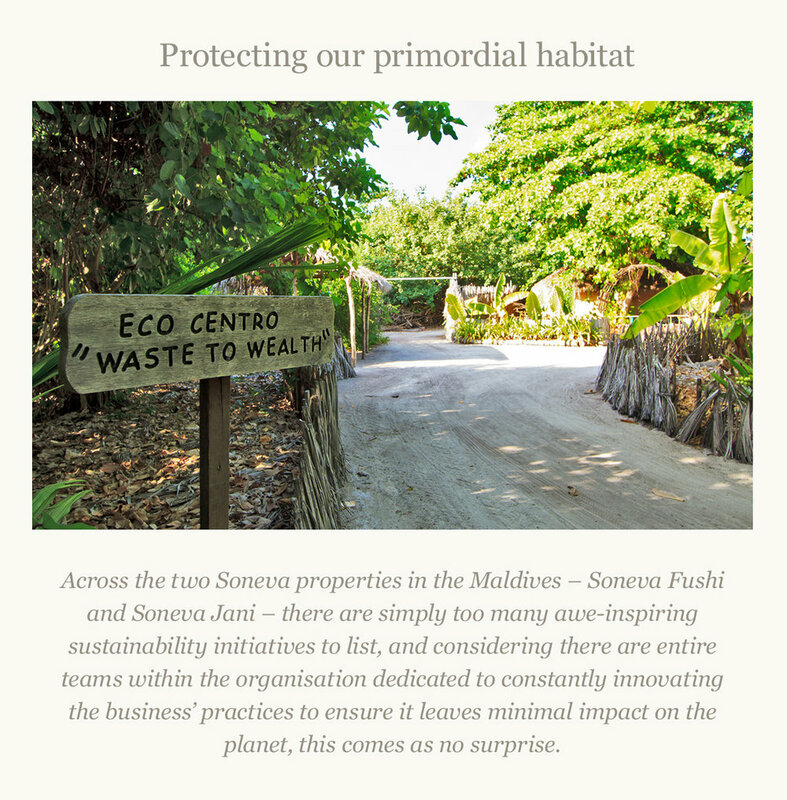 Soneva is well aware that it’s the company’s hosts who have set up water bottling plants on their local islands, who run waste management training with their own communities, who teach local children to swim and introduce them to the wonder and the fragility of the ocean. It is through their hard work that the global blueprint for sustainable resort operations exists. 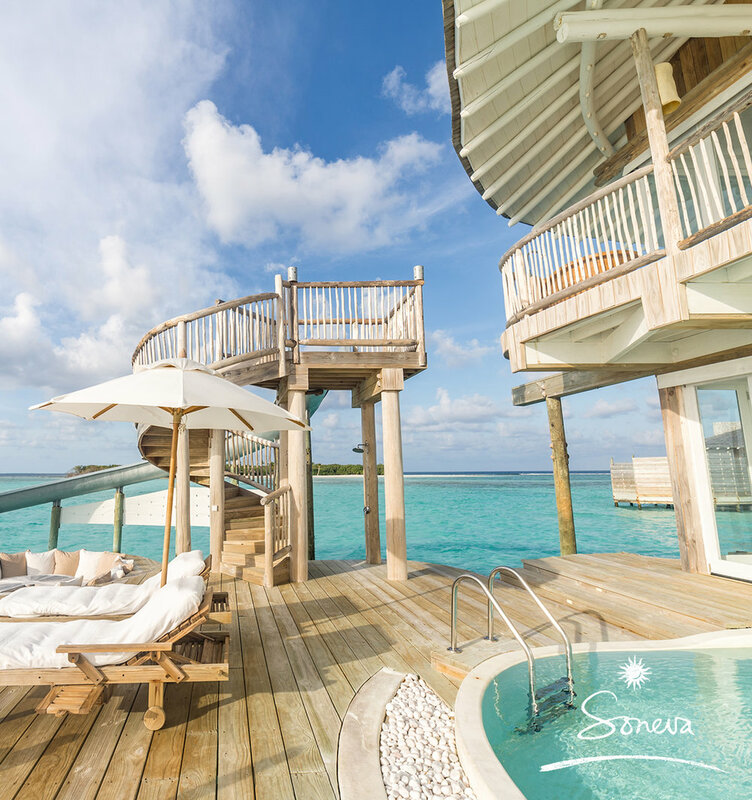 Since its inception, Soneva has supported the Ten Principles of the United Nations Global Compact in the areas of Human Rights, Labour, Environment and Anti-Corruption. These principles are measured and refined year on year, and in essence, highlight the company’s constant efforts to respect the protection of human rights; create gender equality in the workforce; emphasise local employment; and offer competitive salaries and desirable living arrangements for hosts. In 2018, Soneva unveiled an aspirational female employment target for its Maldivian properties, where the unemployment rate for female adults is three times that of males and where Maldivian women make up only four per cent of the workforce in resorts, compared to women constituting 45% in industries such as education, healthcare and the civil service. 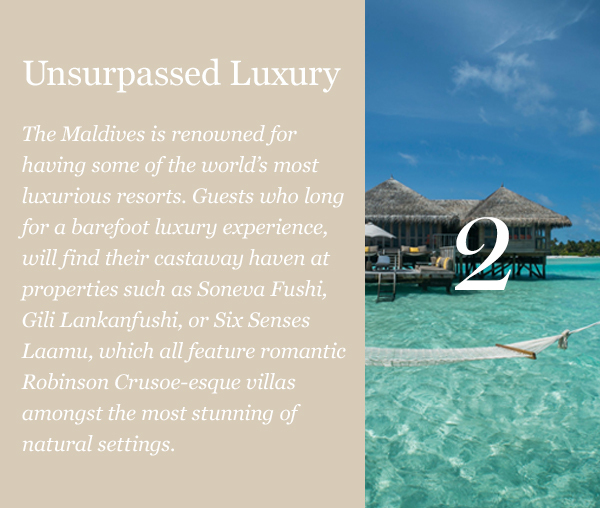 Fathimath Shaazleen, or Shaaz as she is affectionately known, represents just one of the many success stories to come out of Soneva in the past two decades. Hailing from a local island in the Maldives, Shaaz began her career as a telephone operator after she passed her diploma in hospitality with distinction. In 2000 she joined Soneva Fushi in guest relations and two years later was promoted to Friday Supervisor. She left Soneva in 2004 but found her way back and re-joined in 2009 at Soneva Kiri in Thailand as Rooms Division Manager. After moving back to the Maldives, Shaaz was offered the position of Resort Manager at Soneva Jani and then became the first Maldivian female to become Resort General Manager. Today she continues to be a source of inspiration for women – both local and foreign. Globally, there are thousands of Soneva employees; all of whom play an equally important role in creating the iconic, inimitable Soneva experience. From resident astronomers, to marine biologists, environment officers, resident glass blowers, waste-to-wealth managers, wellness instructors, an enormous team of chefs and sommeliers, and the smiling, Robinson Crusoe-inspired team of Mr and Ms Friday private butlers, the humans of Soneva represent possibly the company’s most thriving habitat. 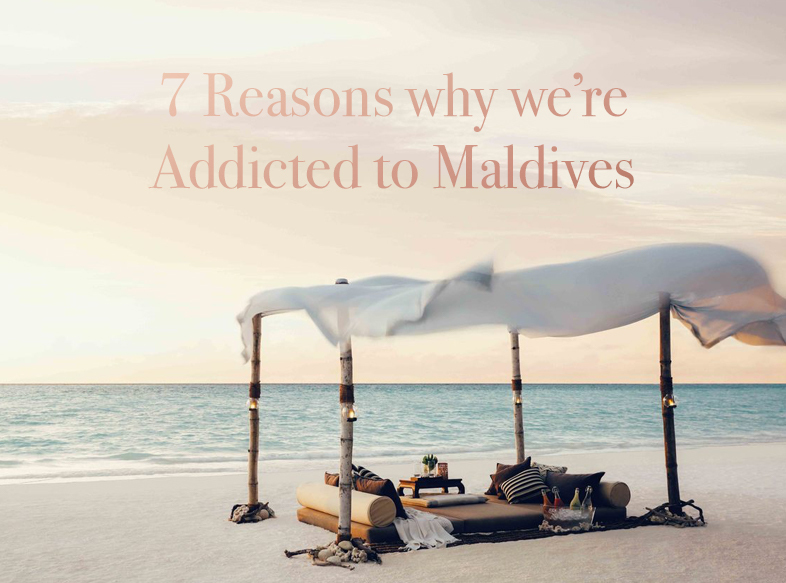 At Addicted to Maldives, we know there’s no place quite like the Maldives. With it’s white-sand beaches, towering palm trees, and crystal-clear waters, it is truly a place that exceeds your wildest dreams of island paradise. 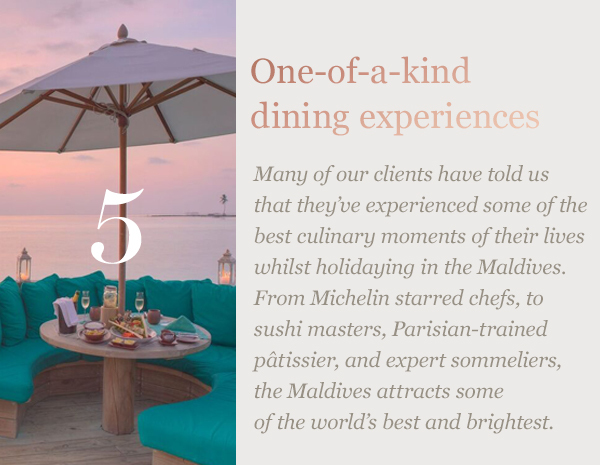 Beyond its jaw-dropping beauty, it is also home to some of the world’s most renowned resorts, which offer award-wining dining, world-class facilities and next-level luxury experiences, making the Maldives a destination that delivers on all its promises. There’s a certain kind of magic you feel when you visit the Maldives, that’s very hard to put into words. It’s the type of magic that you need to experience first-hand, and once you’ve fallen under its spell, you just might find yourself planning your return holiday before you’ve even boarded your flight home…. 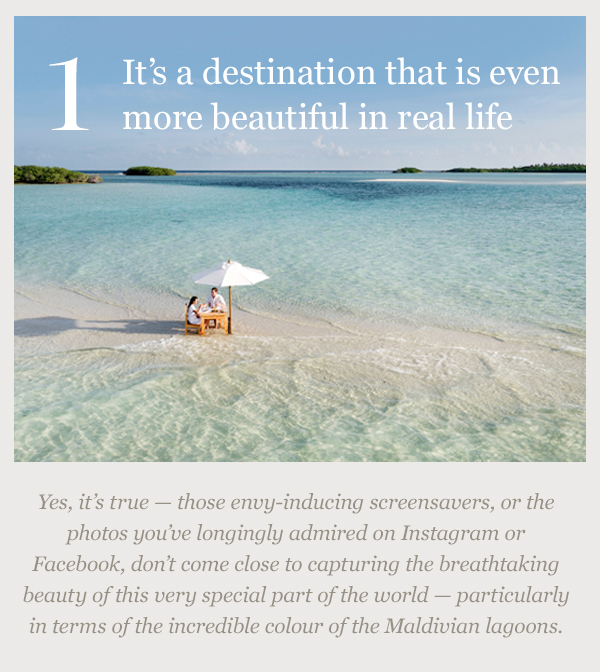 which is a sure sign that you’re officially ‘Addicted’ to Maldives! If you’re yet to discover the wonder of this unique part of the world, here are seven reasons why we believe the Maldives should be at the very top of everyone’s bucket list…. The colour of the water is truly #nofilter worthy – we like to describe it as ‘fifty shades of blue’ because the aquamarine, turquoise and aqua tones literally shimmer and glow in front of you when the sun hits the lagoon. You’ll be pinching yourself in disbelief the first time you see this effect for real! The sophisticated and exclusive One&Only Reethi Rah, Joali, St Regis Vommuli and Velaa Private Island redefine the meaning of ‘indulgence,’ offering state-of-the-art luxury, elegant, expansive abodes, and intuitive staff that cater to every whim. The Maldives is a place where every traveller is treated like royalty – there you’ll find Executive Chefs who create personalised menus, private butlers who are available to assist with any request twenty-four hours a day, and teams of dedicated staff who all work seamlessly to tailor your stay down to the finest of details. 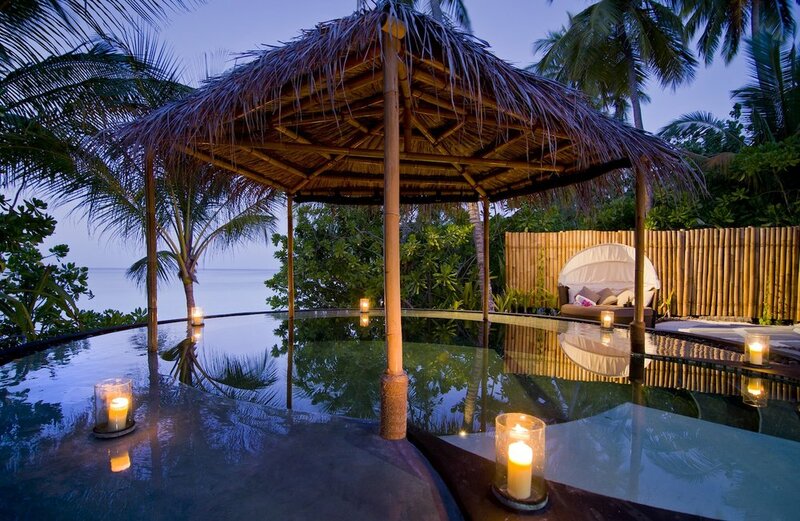 Once you’ve experienced the level of luxury offered by Maldivian resorts, all other holiday experiences fall short. In an island paradise, there’s so many opportunities to create unforgettable memories as a family – whether that’s exploring the island via bike, chasing hermit crabs, heading off on snorkel sessions to find Nemo and friends, or enjoying ice-creams poolside at sunset - your family will find its new happy place in the Maldives. During your stay, you might find yourself sitting at an exclusive six-seat chef’s table on a Monday, enjoying a matched-wine dinner in a subterraneancellar on the Tuesday, experiencing the romance of a sandbank picnic on a Wednesday, and dining on fresh lobster and champagne in an underwater restaurant on a Thursday! A snorkelling session on the house reef will dazzle you, as you discover a kaleidoscopic underwater world of brightly coloured fish, (harmless!) sharks, gliding rays and curious turtles. Join a sunset dolphin cruise and watch as beautiful Spinner Dolphins come to surf the wake of the boat and show off their spinning skills, or take a trip to Hanifaru Bay, a unique biosphere zone that attracts large groups of majestic Manta Rays. 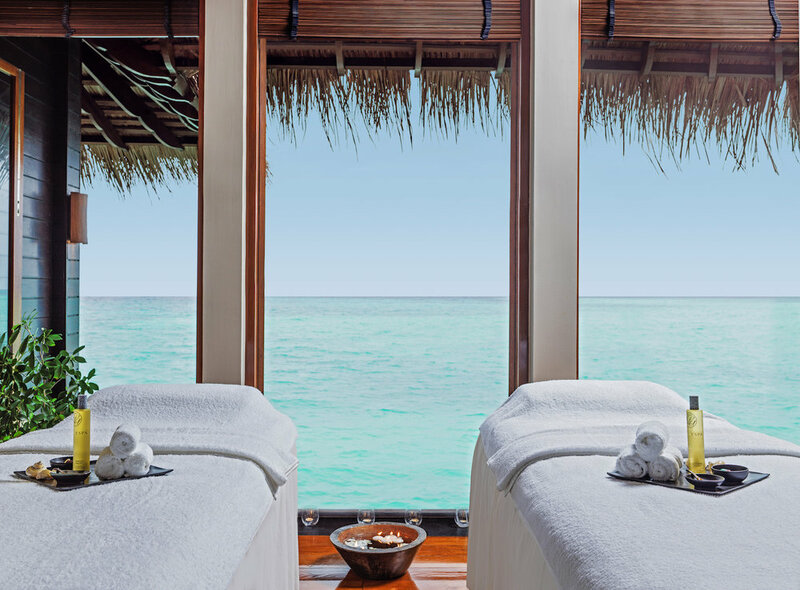 One&Only Reethi Rah, the ultra-luxury, all-villa resort set on one of the Maldives’ largest private islands, has introduced a range of innovative wellness activities and energising experiences focused on living well. 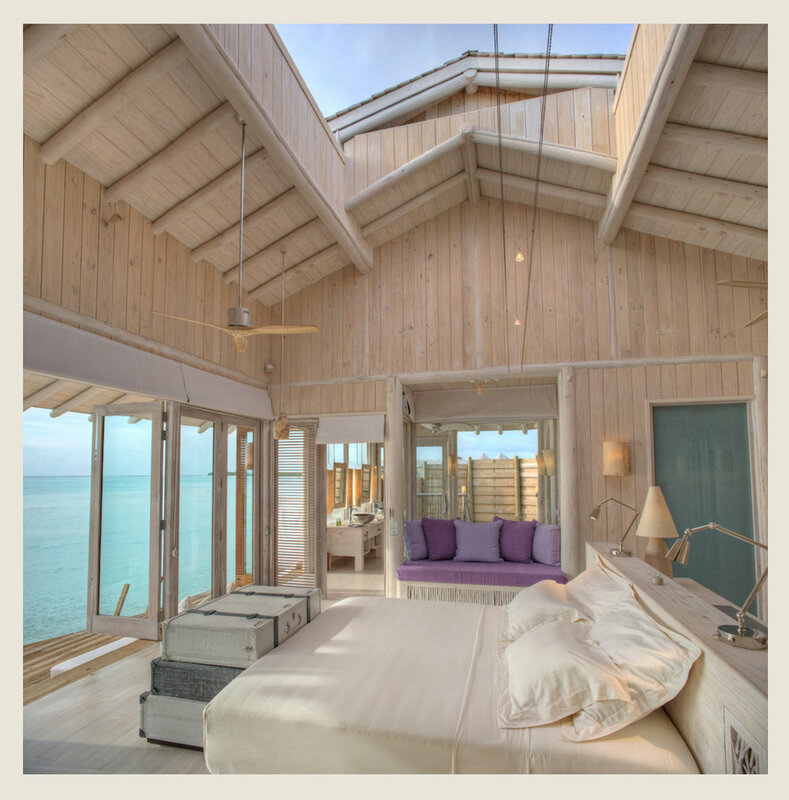 Whether you wish to improve your fitness levels, achieve a youthful glowing complexion, nourish the soul through yoga and meditation, or follow a personalised healthy diet plan, One&Only Reethi Rah offers access to unparalleled expertise and state-of-the-art luxury facilities. With unprecedented privacy and expansive crystal waters, One&Only Reethi Rah is a blissful sanctuary for guests to prioritise their wellbeing during their vacation and beyond. 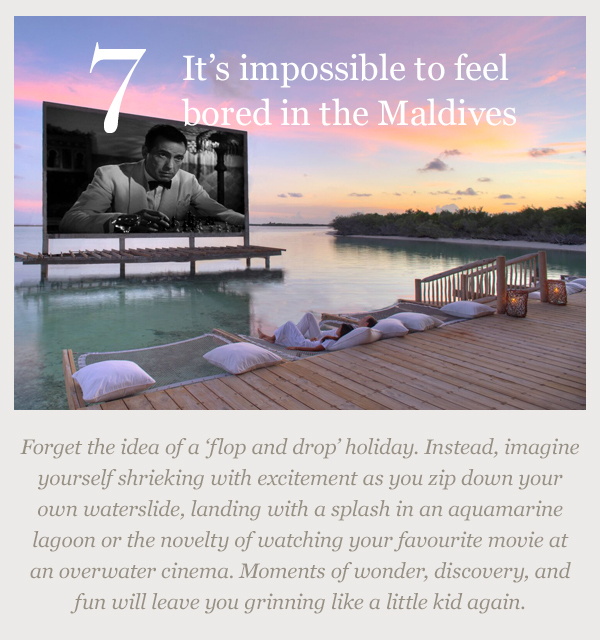 Addicted to Maldives has some very exclusive offers to help get you there. 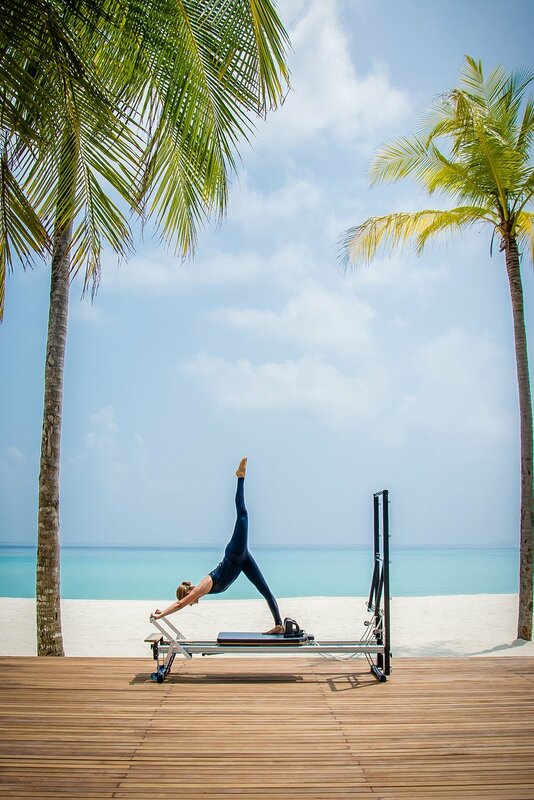 Why not start the morning at One&Only Reethi Rah with an invigorating yoga session on the fitness beach or at the peaceful Chi Pavilion, followed by a jog around the picturesque island route. For a morning boost, a selection of freshly squeezed juices and healthy dishes packed with vital vitamins and antioxidants await at the One&Only Reethi Rah Superfoods breakfast counter. At the One&Only Spa you can discover an array of holistic recipes and natural products from different cultures around the world, including a traditional Balinese body scrub, natural Chinese face mask made from fresh red beans and a cleansing natural red chili detox drink from Bhutan. Take some "me time" and step away from the cares of everyday life and reconnect with you inner energy with Watsu therapy (water shiatsu) in the first Watsu Pool in the Maldives exclusive to One&Only Spa. The deeply restorative and calming treatment with flowing All Taxes and services chargesmovements and aquatic techniques activating pressure points, mobilising joints and gently stretching the muscles, this experience is performed in a warm, mineralised pool with a backdrop of endless views of the Indian Ocean.